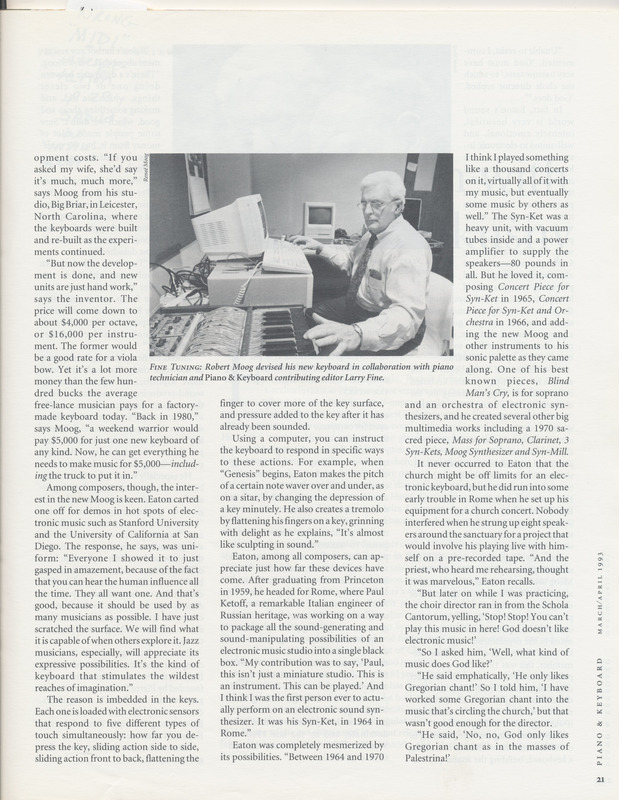 Bob Moog was renowned for his remarkable humility, despite his tremendous accomplishments. One of the reasons that he deflected many accolades was due to his awareness that his technical achievements were created while standing on the shoulders of giants, both those who came before him, and those with whom he collaborated closely. 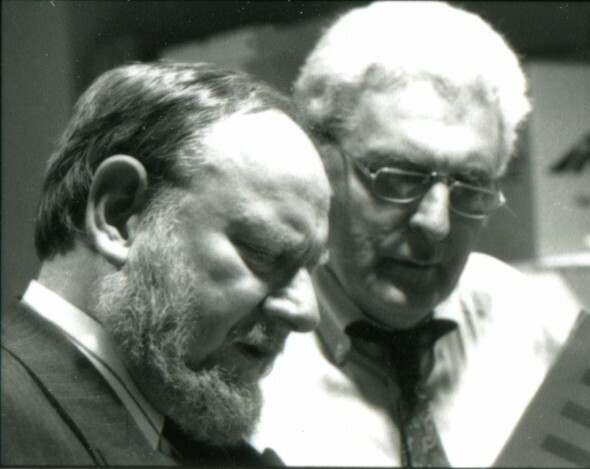 Dr. John Eaton was one of those giants. We were saddened to learn that John passed away on December 1, 2015. 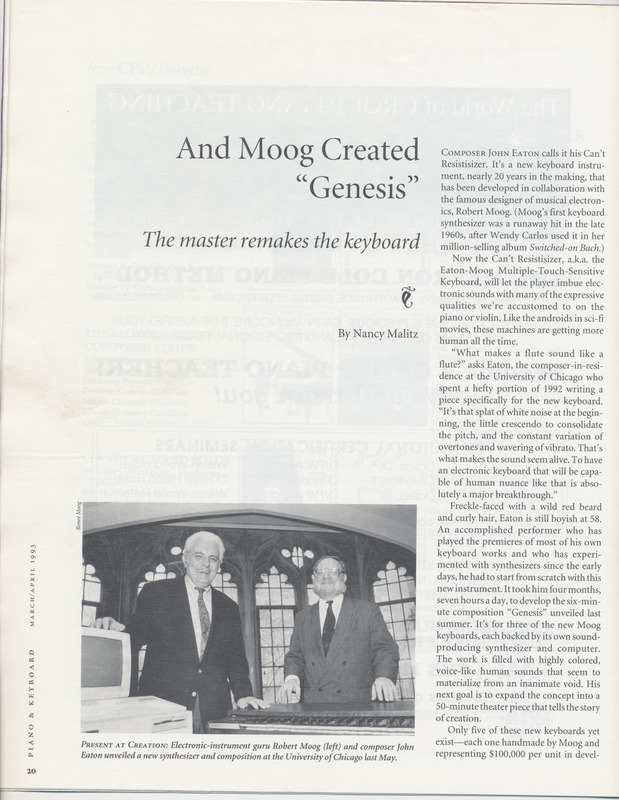 He was Bob Moog’s long-time collaborator in creating the Eaton-Moog Multi-Touch Sensitive keyboard, and a cherished friend. John was a prominent composer of operatic and microtonal music, a pioneer in integrating new forms of electronic music into opera, a professor, and a husband to wife Nelda, and father to his two children, Julian and Estela. His accolades are many. He was a two-time recipient of the Guggienheim Fellowship (1962 and 1965), three-time winner Prix de Rome, and a MacArthur Fellow (1990). 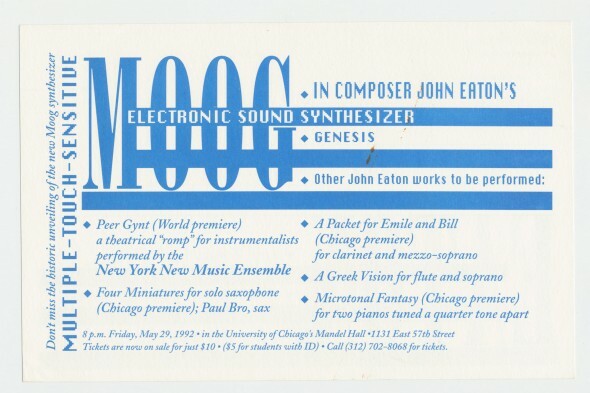 Eaton was Composer-in-Residence at the American Academy in Rome, taught at Indiana University Bloomington for twenty years and the University of Chicago for ten, where he served as Emeritus Professor of Music. John was a prolific composer and wrote over 20 operas over his nearly 60 year career, including Myshkin (1970), Danton and Robespierre (1978), The Cry of Clytaemnestra (1980), and The Tempest (1985). 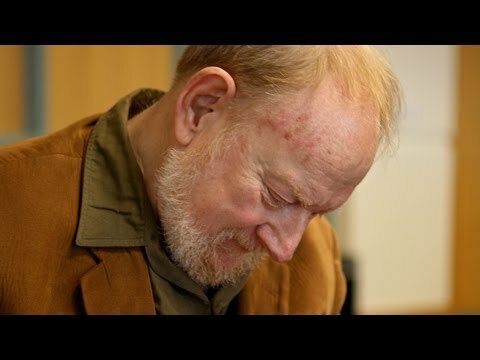 He founded the Pocket Opera Players (1992) a small, innovative opera company created to tour easily, perform original music in nontraditional venues, and allow instrumentalists to take part in the expressive action of the opera. 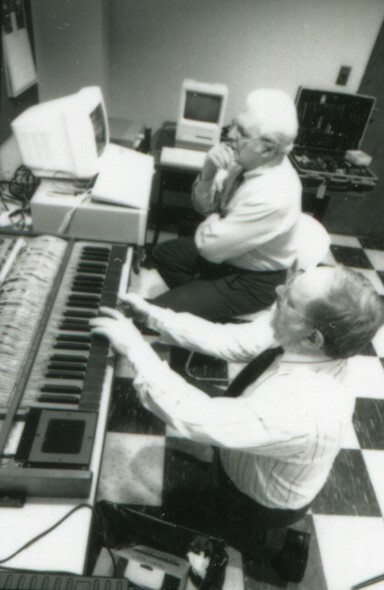 John first crossed paths with Bob Moog in 1966. 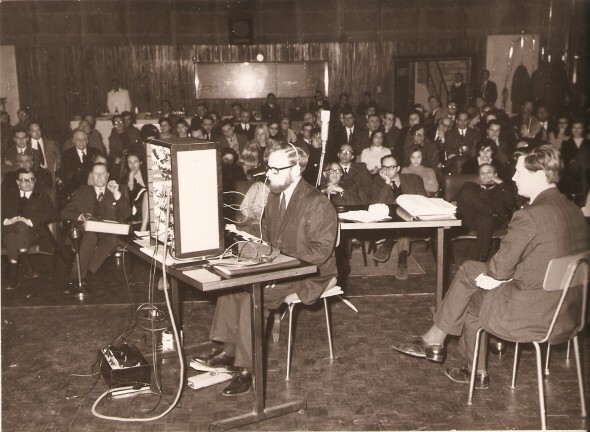 In the early 60s John had worked closely with Italian inventor Paulo Ketoff to help bring Ketoff’s early Syn-Ket (Synthesizer Ketoff) to live performance. [Read much more about Ketoff and the Syn-Ket here: http://120years.net/tag/paul-ketoff/]. The MTS is considered to be a precursor to todays Multidimensional Polyphonic Expression (MPE) MIDI controllers. 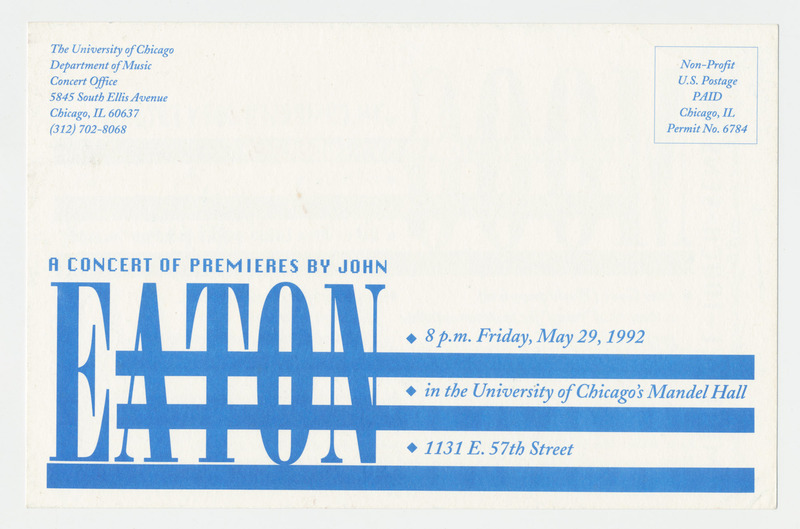 At last, after decades of devotion to the project, the instrument was unveiled on May 29, 1992 at the University of Chicago, featured in John’s opera Genesis. 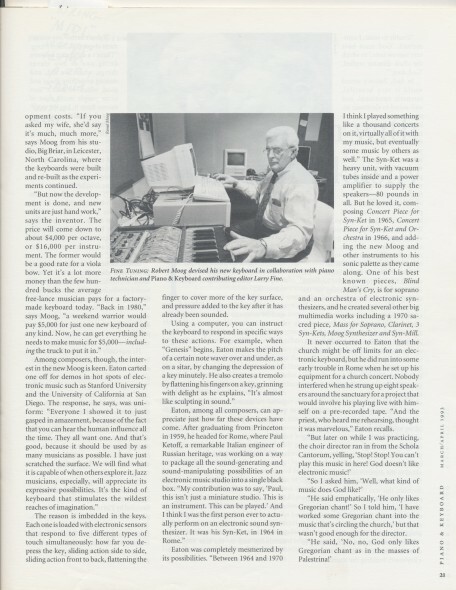 In the article below, from Piano & Keyboard (March/April 1993), Bob acknowledges that the future of the instrument was to be passed on to others, both musicians and software engineers. 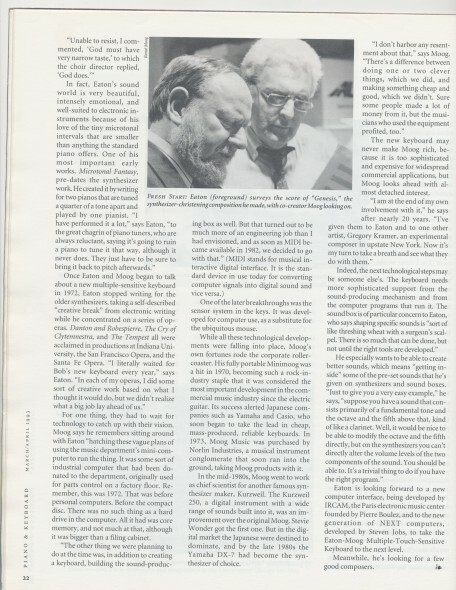 Bob and John were scheduled to attend the NIME (New Interfaces for Musical Expression) conference in 2005 to find a software engineer who could help them make the controller work with a modern computer. 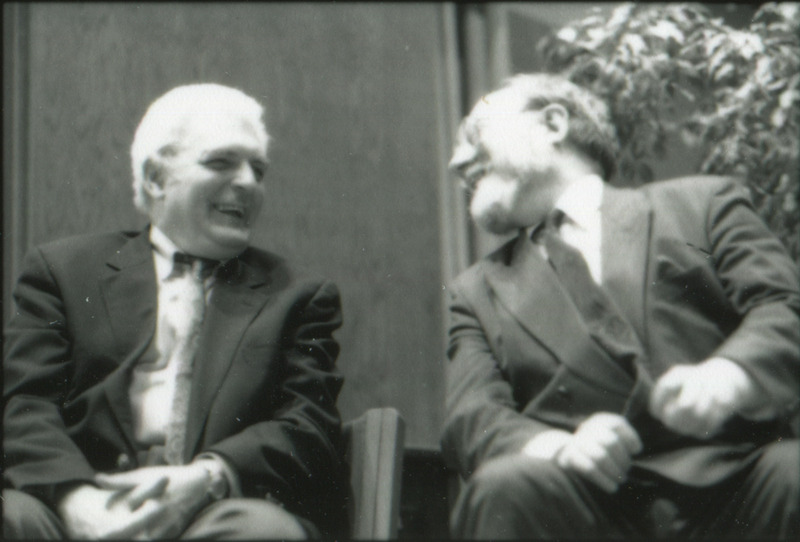 A week before the conference, Bob called John to tell him that he had been diagnosed with a brain tumor, and would not be able to make the trip. He passed away three months later. For the past 10 years, John made efforts to bring the controller to life but was not able to do so. Zappa had an Eaton for his guitar.